Voles are small rodents that cause serious problems in the garden. They feed on roots, foliage and seeds. Although voles feed on just about any type of plant, a select few repel voles. These resistant plants include a number of flowering plants, both from the annual and perennial families. If voles are a problem, consider selecting plants that are unattractive to the pests. Voles are destructive rodents that closely resemble a mouse. Voles, also called field or meadow mice, are common throughout much of the United States. There are more than 20 species. Most are gray or brown and reach between 4 and 8 inches in length. They mostly eat roots and other plant parts, but also insects, dead animals, fruits and nuts. Like moles, voles are burrowing creatures that cause severe damage before a problem becomes evident. Preventing infestation includes removing weeds and avoiding dense groundcovers that give voles a hiding place. 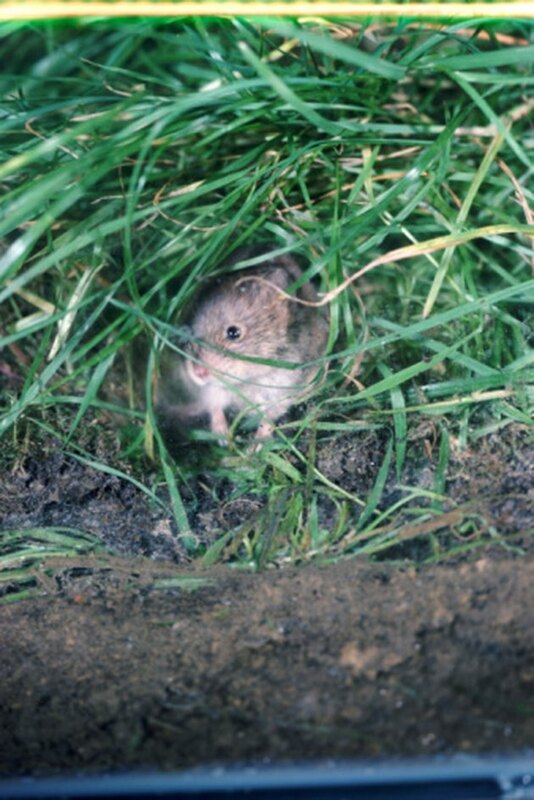 Once a vole population is established, poison baits and mousetraps are options. Gardeners should use poison traps only as a last resort, as they may be toxic to people and pets. An annual plant completes its lifecycle in 1 year. They need replacement each year and are suitable for gardeners who want an easy-care garden with a constantly new look. Several annual flowers are unattractive to voles, including the Italian arum (Arum italicum). The Italian arum thrives throughout the Southern United States, including U.S. Department of Agriculture Plant Hardiness Zones 5 through 9. It reaches between 12 and 18 inches upon maturity. It is commonly used for garden borders and is resistant to vole damage. Additional options include the autumn crocus (Colchicum) and the Siberian iris (Iris sibirica). Perennials are long-lived plants that die away during cold weather and rebloom in the spring and summer. These plants are ideal for gardeners who want to spend time cultivating and shaping a garden. Goldenrods (Solidago odora) are perennial flowering plants that produce bold green foliage and bright yellow or gold flowers. 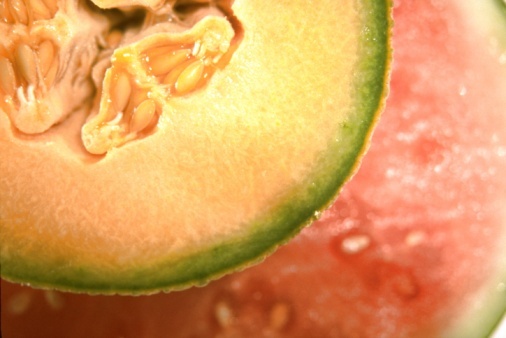 Growers should handle this plant carefully, as it may cause skin irritation. Bee balm (Monarda didyma), a plant that produces flowers in shades of pink, purple, red and white, is another option. Additionally, the crown imperial (Fritilleria imperialis) is an extremely cold hardy, vole resistant plant that may reach 4 feet in height. The intended planting zone is the biggest factor in determining which vole-resistant flowering plants will succeed. Lavender is a highly scented plant. It produces purple flowers and silver-green leaves. It attracts bees, butterflies and other beneficial insects and resists damage from voles. Mint is aesthetically pleasing and highly functional. Not only does it resist vole damage, but when planted around the foundation of a home, will prevent mice populations both in and outdoors. Marigolds are vole resistant and produce blooms with that are orange or yellow that may be accented with red. The plant is good at repelling voles and other rodents, as it produces an unpleasant smell. What Kinds of Plants Do Squirrels Hate?